The Galaxy S8 and Galaxy S8 Plus have been launched at a price of Rs 57,900 and Rs 64,900 respectively. The devices will be available for sale from May 5. In an event in New Delhi on Wednesday, Samsung launched the all new Galaxy S8 and Galaxy S8 Plus. The Galaxy S8 and Galaxy S8 Plus have been launched at a price of Rs 57,900 and Rs 64,900 respectively. The devices will be available for sale from May 5. However, pre-orders for both the devices have begun. 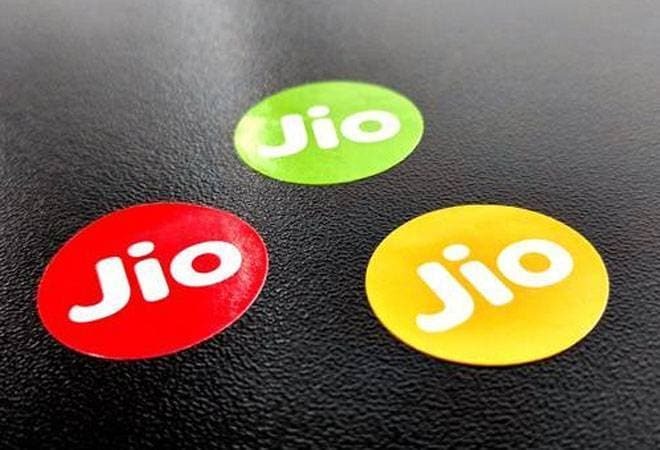 Reliance Jio has partnered with Samsung's summer flagship devices in order to provide 'Double Data' offer to Jio users. Reliance Jio to its users who will buy Samsung Galaxy S8 and S8 plus will give twice the data in a recharge of Rs 309. The buyers on their purchase will get 448GB of 4G data on Jio network for eight months on a monthly recharge of Rs 309. This will be the double of what Reliance Jio is already offering in its Jio Dhan Dhana Dhan Offer. The billing cycle for Dhan Dhana Dhan offer will start from July onward. The offer for Samsung Galaxy S8 and S8 plus will commence from May 5 when the two devices will go on sale. However,the Double Data offer would be available for Jio users who have enrolled for Prime membership. Without a doubt, the Galaxy S8 and Galaxy S8+ seem to have an evolutionary better curved display called Infinity Screen. What's left of the bezel around the screen is black, which blends into the screen seamlessly. The two devices come with a 5.8 inch and a massive 6.2 inch screen curved display. Due to the incredible screen to body ratio, the devices' physical dimensions do not pose a threat to an average-sized human hand. Samsung also claims the display is much brighter and has better contrast than the outgoing Galaxy S7. Both devices will sport a 2K display. Samsung made a bold move by not introducing a flat screen alternative for the device. It's betting all it's cards on the curved display. Samsung has very well lived up to the early concepts of the device. The front panel of the device is seamless with the home button integrated under the screen. Though the button won't be visible, it will react to the pressure. It seems Samsung borrowed a page from Apple's force-touch technology. With no physical home button to house the finger print sensor, Samsung placed it at the back of the device right next to the camera module. The placement might seem too odd for many but luckily there many other faster options like Iris and face scanner to log in to your Samsung Galaxy S8. The Galaxy S8 and Galaxy S8+ will come with a new 10nm chipset, which the company claims is smaller yet more efficient. The smaller size enables more area for the Infinity screen. Though the company is launching a Snapdragon 835 variant for the United States, India will get Samsung's native Exynos version. Another bold move from Samsung as it hasn't invested in a new primary camera module. The company has used the old Galaxy S7 camera module for this years' flagship, a 12-megapixel sensor with OIS. However, the front camera gets all the attention. The front snapper will come with a wide-angle, 8 Megapixel shooter which will also have auto focus. Samsung has finally unveiled its own AI and the company seems very confident about it. So confident, that it placed a dedicated physical button on the phone to access the assistant. Similar to most leading AIs in the market, Bixby will also behave contextually. The device will keep a track of your location and activity throughout the day to yield better results. The S8 has a 3,000mAh battery and the S8 Plus has a larger 3,500mAh battery. Samsung claims it has tweaked the battery chemistry to help the batteries last longer after a year or two of use.